I've had a book about manga for some time now, so I thought it could be nice to focus on that for a week. 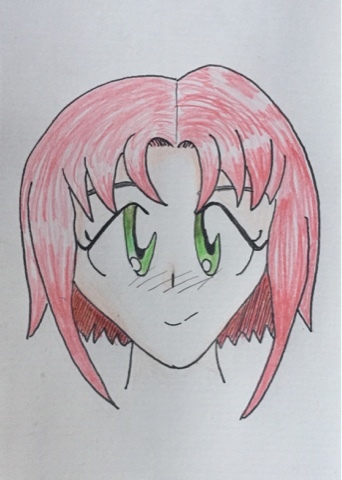 So here is my first manga face... I first did a pencil sketch, then filled in the lines with a black marker and then finally colored it in with pencils. Ohhh I really like this one. The eyes are fantastic!!! !